So your Fire Marshall or Building Inspector are requiring you to have a single action exit lock for your Adult Care Center or Day Care? This is the Lock for you. This is the perfect interconnected lock for folks that are converting an existing building to be used as a Day Care or Adult Care center because this lock fits doors with the most common residential door prep. 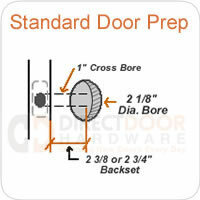 The 5.5 Inch CC door prep is most common out there, so this lock is an easy replacement in most cases. 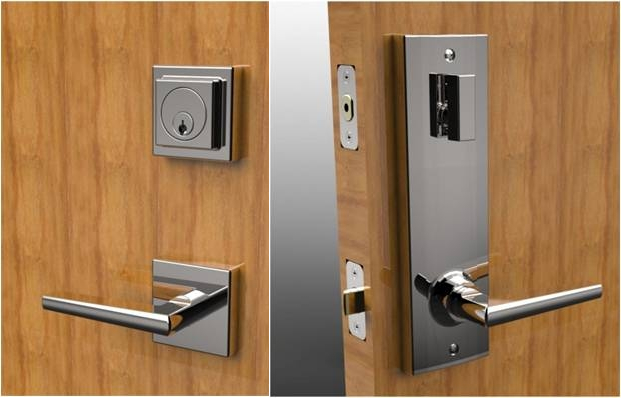 The Ezset interconnected lock will allow you to lock with the thumbturn on the inside and with a single action, unlock the door by turning the lever. Once out of the building, the lock remains unlocked and will not lock behind you. How many keys are included with this lockset?